Editor’s Note: This is a regular column that appears in our city’s newspaper, The Wanganui Chronicle. I always get a kick out of walking down Victoria Avenue or riding my bike on Puriri Street and seeing someone wearing a basketball jersey of the Boston Celtics or Los Angeles Lakers. I picture in my mind the reverse: youths in Boston and Los Angeles sporting their Warriors or Crusaders kit. It is good for a chuckle. I am especially impressed on the rare occasion of passing someone on the streets of our River City supporting my hometown Detroit Pistons. So you will understand my pleasure upon opening last Saturday’s Chronicle to find a full-page story on the Motor City. Appropriately placed at the top of the page was a photograph of a group of students sitting in front of a massive Diego Rivera mural at the Detroit Institute of Arts. I remember all those decades ago taking a school trip to the DIA and being completely overwhelmed by the Rivera murals that depict the Ford Motor Company’s River Rouge manufacturing plant at the time of their painting in the early 1930s. On the 2,000 acre site, 93 buildings covered 1.5 million square metres and had 150 kilometres of conveyors. Iron ore went in one end and finished cars came out the other. 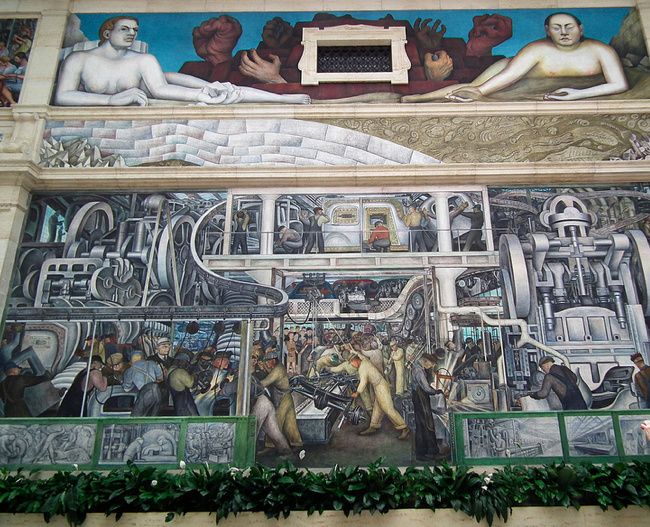 100,000 men worked at the plant while Rivera painted his murals. “The Rouge” had a fully staffed hospital, a fire department and a police force. 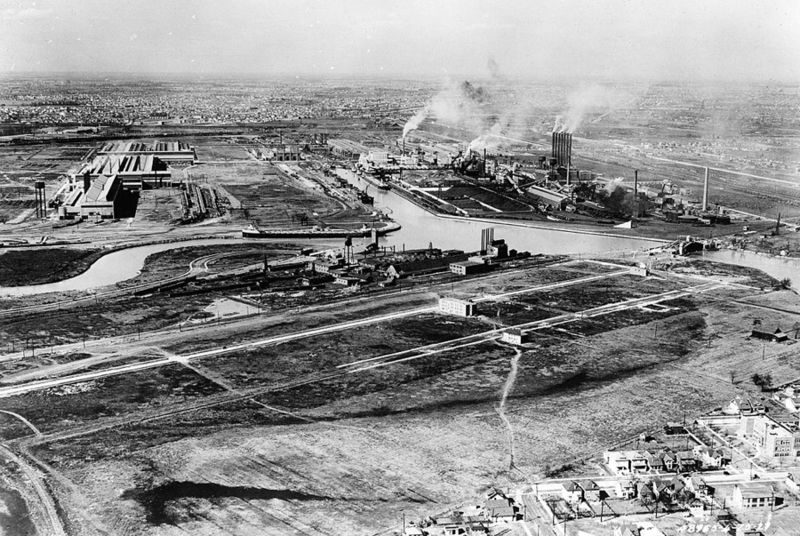 It was the largest single industrial complex in the world. By the time I visited the DIA in the late 1970s the Rouge itself was on hard times. The work force had plummeted to under 10,000 and drug use was rampant among them. The quality of Ford vehicles had declines and Japanese imports were in the ascendant. My family was unlucky enough to have purchased a Ford Pinto that was plagued with mechanical problems. By the early 1990s the plant was on the brink of closure. And then something amazing happened: Eco-design saved the Rouge. 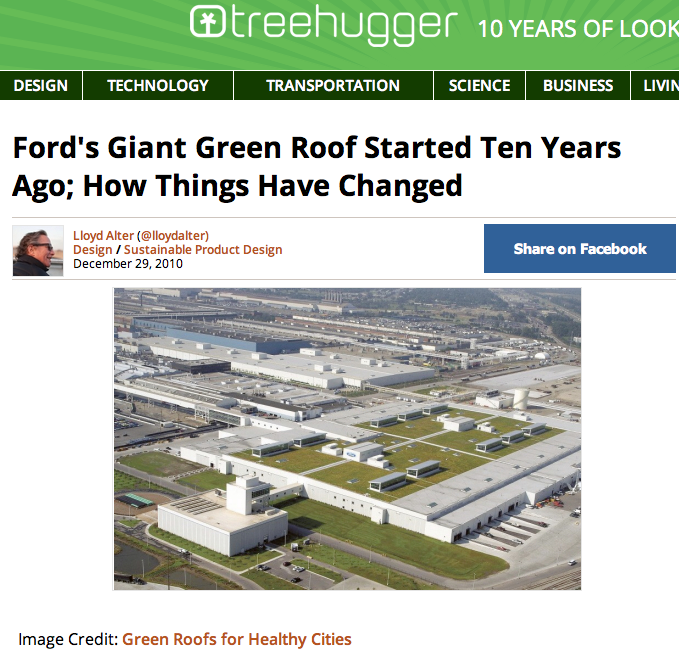 In 1999, Architect William McDonough (the subject of last week’s column) entered into an agreement with Ford Motor Company for a major eco-thrifty renovation of the aged facility. The cornerstone of the renovation was a 10-acre (four hectare) living roof planted mostly to low-growing sedum, which retains and cleans rainwater while buffering the temperature inside the plant in both winter and summer. 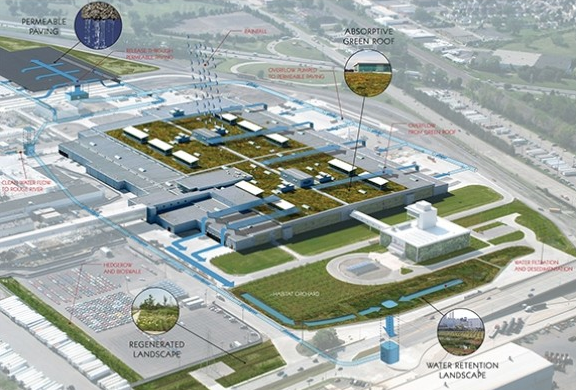 While the living roof saves Ford on both heating and cooling costs, the major savings were realized by the role it plays as part of an $18 million storm water system designed to handle 76 million cubic metres of water annually. This innovative system also includes a series of swales, reconstructed wetlands, the world’s largest porous parking lot, and hundreds of newly planted trees. From day one, this eco-design option for treating rainwater saved Ford $32 million because the mainstream option of mechanical treatment would have cost $50 million. 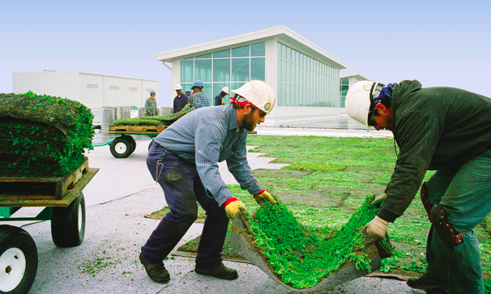 Another role that re-vegetation efforts play on the site is through phytoremediation – a process by which plants and soil microbes break down contaminants and render them harmless. This approach is much cheaper than the other option Ford was facing of trucking contaminated soils off to landfill. To me this is inspiring stuff, and I can see its application throughout our city. As yet we have not been able to get into gear, but here’s hoping one day these types of ideas will get traction and with the engagement of a broad cross-section of our community we can get the pistons humming.